Why are people using foodbanks? Food bank use peaks in December. Despite Theresa May and Phillip Hammond’s pronouncement that “austerity is over” foodbank use continues to rise. To help your local foodbank this Christmas click here to check out a foodbank near you. Figures released by the Trussell Trust, the UK’s biggest food bank service, reveal an especially bleak picture. 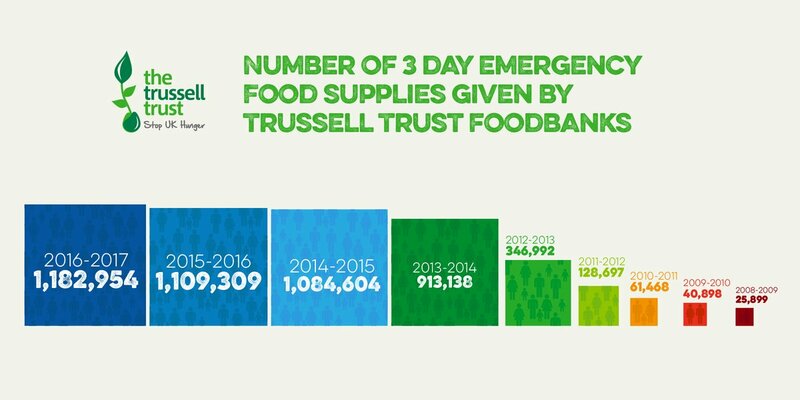 Between April and September 2018, the Trust provided 658,048 emergency food supplies and food parcels - an increase of 13% compared to same period last year. Short answer - the Tories. Long answer - read on. 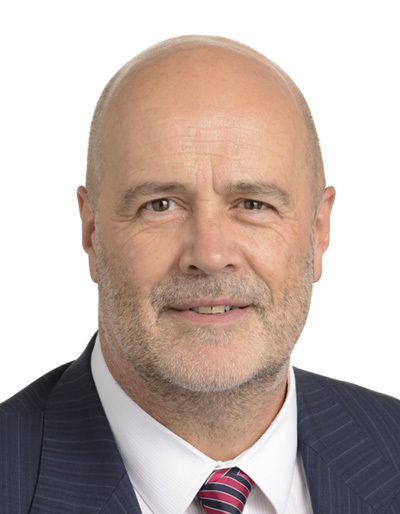 The rollout of the Universal Credit benefit system is in its final phase, and by the end of this year, Universal Credit will be fully implemented. Delays in payment. The waiting times are excruciating, the stated wait being five weeks, but in practice, the process will take 12 weeks. A long time when you are skint. Sanctions. That is stopping peoples’ money. One in eight sanctions are for a period over six months, and experts predict that some sanctions will soon stretch into years. Despite these measures that tip applicants into the abyss of destitution, there is no DWP assessment for the effectiveness of sanctions. They seem really about fear. Benefit ‘advance’. Even as recently as Wednesday’s (5 December 2018) PMQs, Mrs May claimed that no claimant would have to wait for money ‘if they need it’, and 100% of claimants could get an advance. What she neglects to mention is that these advances are a loan and must be repaid out of subsequent Universal Credit payments which are later docked. This causes no end of problems for people who simply cannot afford to repay pushing some further and further into debt and arrears. Universal Credit is the first major government service that is ‘digital by default’. This means that the main interface for access to universal credit payments is via an online application portal. Trouble is, 21% of the UK population do not have the five basic digital skills and 16% of the population are not able to fill out an online application form. It’s not hard to work out that people with poor computer literacy skills are likely to be those with low incomes who need to apply for benefits. According to the DWP’s own survey from June 2018, only 54% of claimants were able to apply online without assistance. Only one third of UC claimants could verify their identity online, which is a necessary step for the application to proceed. Of course people could go to their local libraries for help but local services like libraries have been significantly squeezed. Government funding for libraries has been cut by half under the Tories so between 2010-2016 more than 340 libraries were closed with 8,000 library jobs lost. Now local libraries simply do not have the capacity to help with applications but the applicants keep coming as they have little choice. What are the Government doing about this? Seemingly nothing. A common theme in ministerial responses is absolute denial of the desperation felt by some people. The findings of the UN Report on Poverty have been completely ignored by Mrs May, who has stated she doesn’t acknowledge the findings. To her the rollout of Universal Credit has been, by and large, a success, and everything is proceeding as planned. In PMQs (5/12/2018), Mrs May refused to acknowledge the severity of the problem. But the report is damning. One fifth of the UK’s population live in poverty. Four million of these are more than 50% below the poverty line. 1.5 million people are termed ‘destitute’, meaning that they are not able to afford even the most basic essentials. And yet they ignore it, bar the odd staged photo of them looking idiotically happy in a foodbank with copy-pasted caption. The fall in the value of the pound since the referendum in 2016 has already increased the cost of living for people in poverty by £400 a year. The Government’s own studies have shown that if the UK goes ahead and leaves the EU the UK economy will be leading to consequences for inflation, real wages and prices. The comments by the Joseph Rowntree Foundation were stark - if the Government does not increase benefits to account for inflation after Brexit, nearly one million more people could fall into poverty. South East England is the 23rd most wealthy region in the European Union. However there are still more than 100 food banks operating from nearly 250 distribution locations in the constituency. This Christmas, take a look here to see the local foodbanks in your area. If you can afford to please talk along something. Foodbanks also take money – it helps a lot because they can fill gaps and the larger food banks have considerably buying power so you money can go further in helping people who need it. Thanks for reading and have a good holiday.